Isaac Mwaura always thought he was a normal kid growing up in Kenya, never once looking in the mirror and realising his pale, white skin was different. 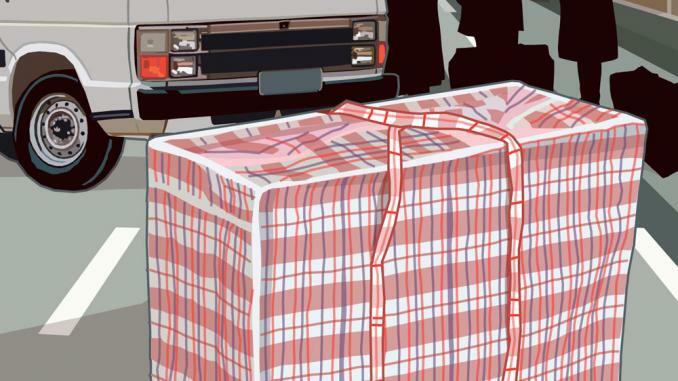 That innocence vanished when 12-year-old Mwaura was walking home from school with friends, a fellow albino among them. 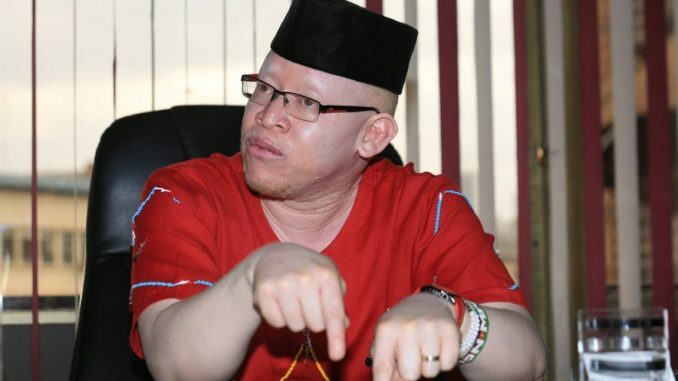 “Suddenly a stranger started pointing at us and calling us albinos,” said 35-year-old Mwaura, who last month became Kenya’s first senator with the pigment disorder. It is the latest in a series of firsts he has achieved after rising to public prominence in 2013 as the first Kenyan with albinism to join parliament. Both are nominated positions. People with albinism – estimated at one in 15,000 Sub-Saharan Africans – lack melanin, which absorbs ultraviolet rays, making their skin and hair white. Lack of pigment can leave the skin vulnerable to sunburn and skin cancers; it is also associated with vision problems. The psychological fallout is another matter. After the taunting, schoolboy Mwaura waited patiently for his mother to come home. “I asked her who an albino was and why we were being called albinos, yet all of us had our own names,” he told the Thomson Reuters Foundation from his office in downtown Nairobi. As his mother explained the condition, the world suddenly became a different, dangerous place, he said. Albinism is seen as a curse in Kenya, and people with the condition are often called “zeru”, which means “ghost”. People with albinism are frequently shunned, attacked and even killed in Africa. 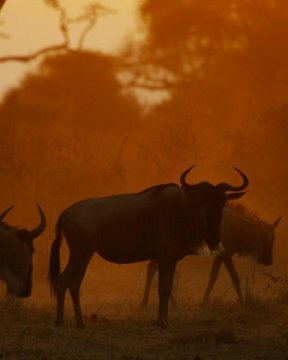 In many countries, their body parts are believed to bring wealth and are prized for use in witchcraft. They are often abandoned by their parents or kept out of school because they are seen as mentally retarded. Mwaura, who hosts a radio talk show every Saturday, is determined to change such beliefs. He organised the world’s first beauty pageant for people with albinism in 2016 to challenge perceptions. “We wanted people with albinism to feel good about themselves, know that they are as attractive as anyone else,” said Mwaura, founder of the Albinism Society of Kenya, which organised the contest. Rejection starts young. 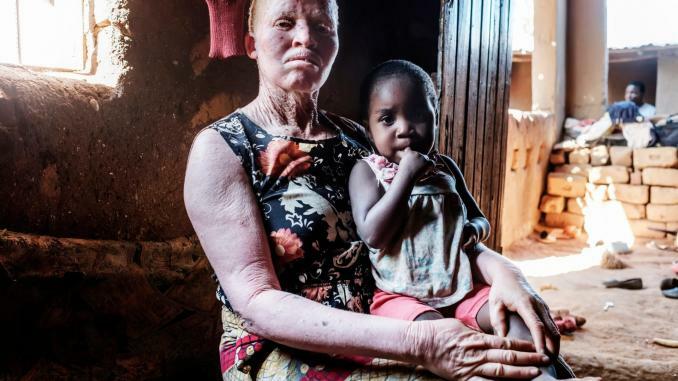 Most people with albinism in Kenya grow up in single-parent homes, experts say. “My father walked out of our home immediately I was born,” said Mwaura, who recently became a father himself. “He said I could not be his child,” he said, sitting in a swivel chair beside a wall of photographs. The centrepiece is a 2015 picture of Mwaura with his bride, Mukami, walking down a red carpet in the lush grounds of Nairobi’s State House, with President Uhuru Kenyatta smiling in the background. Mwaura never tried to make contact with the man who abandoned his mother to deal with a condition of which she was largely unaware. She raised her two sons alone, letting Mwaura play in the sun with other children. “My mother initially thought I was just a light-skinned baby,” he said. After Mwaura was hospitalised several times for sunburn, a visiting aunt told his mother to buy sunscreen and glasses and send him to school. He went on to earn master’s degrees in Britain and South Africa, and worked for several charities before becoming, in 2010, a policy adviser to the prime minister. Prejudice was rife in parliament, ranging from the comical to humiliating. One hot day, jeers and whistles erupted when Mwaura walked into the chamber wearing a wide-brimmed hat. “A member of parliament stood up and asked why a cowboy had been let into the house,” he said. Even worse – the time when he was forced to sit in the corner and silently listen to a governance workshop, along with representatives of the disabled whom he had invited. One of his key achievements was persuading MPs to create a fund to pay for sunscreen, eye care and cancer treatment for people with albinism. This year, Mwaura achieved another first in Kenya by standing as a parliamentary candidate in the party primaries as the “muthungu wa Ruiru”, or the white man from Ruiru, some 30 km (19 miles) north-east of Nairobi. Given the weight of prejudice facing Africans with albinism, few have succeeded in its rough and tumble politics. Neighbouring Tanzania elected its first man with albinism to parliament in 2010, while Mali and the Republic of Congo each have one minister with the condition. Although Mwaura came last, and his car was even shot at during the campaign, he feels victorious. “The thousands of people living with albinism now know they can run for any political office,” he said, attributing his loss to the fact his pockets were not as deep as his rivals.